For the latest publication by Ryan Claytor at Elephant Eater Comics (this time joined by co-writer Nick Baldridge), there is a level of cartooning confidence on display and a sureness with the subject matter that's evident with the first flip open. 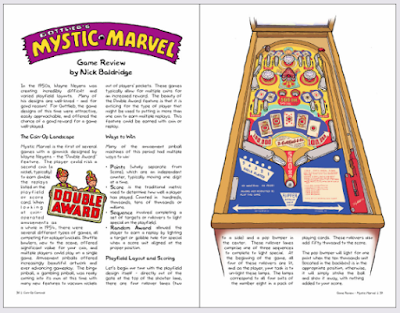 One will immediately notice that the indicia and table of contents are splashed across the back of an array of pinball machines, as if you've stepped into a collector's secret basement, with tarps lazily draped over the pins which have been partially pulled back from obscuring the mythic machines. It's as if Claytor and Baldridge are pulling back the curtain to reveal the inner workings of their beloved industry - which is exactly, quite literally, what they're doing at times. That's the very first signal that Coin-Op Carnival: Electrifying Tales of Mechanical Contraptions intends to use both thematic and visual elements working in concert to deliver messages in the best tradition of comics: pairing images and text to reveal a tertiary level of understanding. 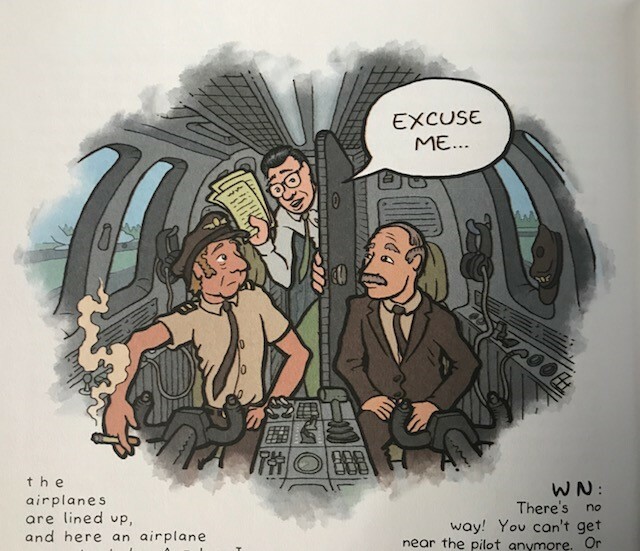 In an early framing sequence, we see Ryan and Nick's phone conservation that was the impetus for the project, and it showcases a series of panels with the creators inhabiting color-coded backgrounds that correspond to their blue and brown geographic locations. It's a smart subtle choice revealing the level of thought poured into this project. 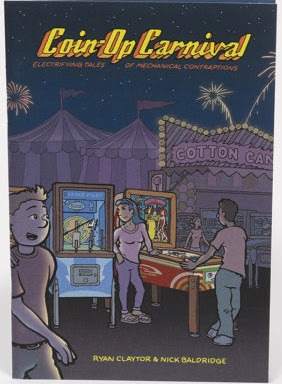 It's tempting to classify Coin-Op Carnival as a zine, a term meant lovingly here and not as a pejorative, in the best tradition of underground self-published works that tackle a particular niche topic. But, for me the mere "zine" descriptor belies the strength of the work, perhaps mega-zine is more apropos for this 64-page, full-color work bearing exceptional production values. It's crammed full of comics, spot illustrations that range from small corner accouterments or diagrams to full double-page spreads with considerable artistic weight, reviews, profile interviews, articles, shorts, tech tips, and a melange of content that never skimps. Though the optimal intended audience is a niche audience to be sure, the work is still strong enough to engage someone like me, who is not fully steeped in this particular corner of fandom. 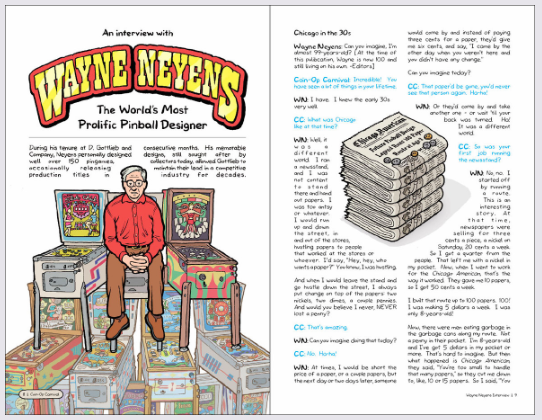 There are a few particular high points, including the extended interview with industry veteran Wayne Neyens, which (at approximately half the length of the book) really anchors the first issue and functions as something of an artistic statement in terms of what you're going to get from the series. As a fan of Claytor's work who has lovingly analyzed almost every panel he's produced for the better part of a decade, I quickly noticed several of the spot illustrations that used free-floating borders with a type of ink wash effect. They lend the sense of the interviewee recalling selective moments of his own personal history in all their hazy glory, another nice way that thematic and visual elements coalesce to drive meaning. You can instantly glance at these panels and intuitively understand they're about memory recall without having to read the interview - pictures tell stories, you see, informing meaning with their very presence or configuration on the page, even without those pesky words inhabiting them. I also enjoyed the detailed description of the play field in Mystic Marvel, explaining why this particular configuration is notable in a way that's easy to understand for a layman. It's helped tremendously by Claytor's full-color illustration laying beside it. 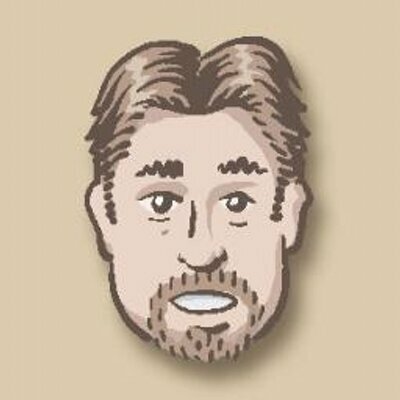 I was taken with the write-up for Space Pilot, a piece of Cold War-era ephemera that instantly makes you want to give the game a go. I admit to becoming a bit lost in the technical elements of relay technology, and truthfully I'm not really going to remember the difference between a switch leaf and a contact or a bracket and a bakelite spacer 5 minutes after I put the book down, but it's still an admirable attempt to demystify the electromagnetic guts that make the machines go! Never one to shy away from trying to induce the feeling of getting the biggest bang for the buck, Claytor has also included foldable paper pins that you can cut out and configure, which are just the right size for your 3.75-inch G.I. Joe and Star Wars action figures to play once you've picked up all your pop culture kishkas on the con circuit! The project is ambitious to be sure, so it was no surprise to discover that Claytor is embarking on another multi-stop tour. It recently kicked off on March 22nd at the Texas Pinball Festival in Frisco, Texas, runs through 16 stops and 10 states including San Diego Comic Con in July, all the way to October 17th at the Pinball Expo in Wheeling, Illinois. You can purchase the book and learn more about their tour and publication plans at www.coinopcarnival.com.